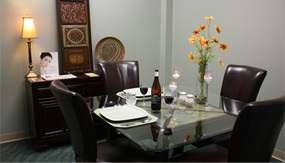 ReJuvenere is the premiere medical spa and massage therapy spa located in the Amherst area. Our spa offers a wide selection of treatments and procedures that help patients feel better, look better, and get healthier. Between our exceptional staff, scientifically proven procedures, and competitive prices, no other spa in the Amherst area compares in quality. The core of our Amherst NY medical spa is Dr. Richard M. Junke, MD. With the assistance of his wife, Suzanne Junke, RN, he created this haven of health and beauty. They each have decades of experience in the field and are constantly working to improve the techniques used at ReJuvenere. Each staff member is hand picked by Dr. Junke to live up to the excellence that he demands of his spa. 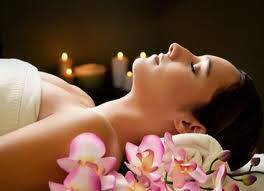 ReJuvenere is by far the best option for Amherst NY massage therapy. We offer four different types of massage therapy, all designed to remove stress and tension from our patients, including one specifically designed for expectant mothers. These massages are available in 30 minute and 60 minute sessions, in order to best fit the schedules of our patients, and are all competitively priced. All of these services are designed to improve the health and well being of our clients. Experience teaches us that when clients feel better about the way they look, both mental health improvements and physical health improvements follow. Our clients expect results and we have developed a variety of procedures and techniques that have shown proven results time after time. If you want to feel better, mentally and physically, under the guidance of an experienced medical professional who cares, there is no better Amherst NY medical spa than ReJuvenere Medical Spa. Contact us today to schedule your initial appointment and get a complimentary consultation from Dr. Junke himself.